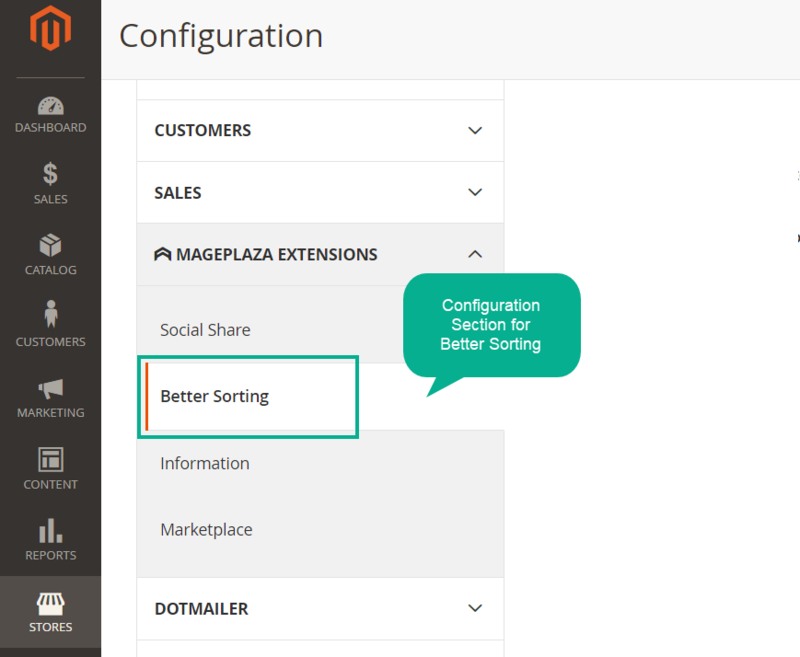 Better Sorting for Magento 2 by Mageplaza is the supportive extension which assists online shoppers to easily and quickly find out preferred products via sorting out. This extension enhances user experience during shopping time significantly and improves sales of online stores effectively. In online shops without any sorting tools, customers often find it hard and waste a lot of time to find out the their wish items. They feel it inconvenient and not have good experience. trending_down Bounce rate increases after the searching failure. After some minutes trying to find out the favourite items but fails, customers are likely to “good bye” the store quickly. In fact, the item can be somewhere on the store site. As a result, the store has just lost the potential customers unexpectedly. 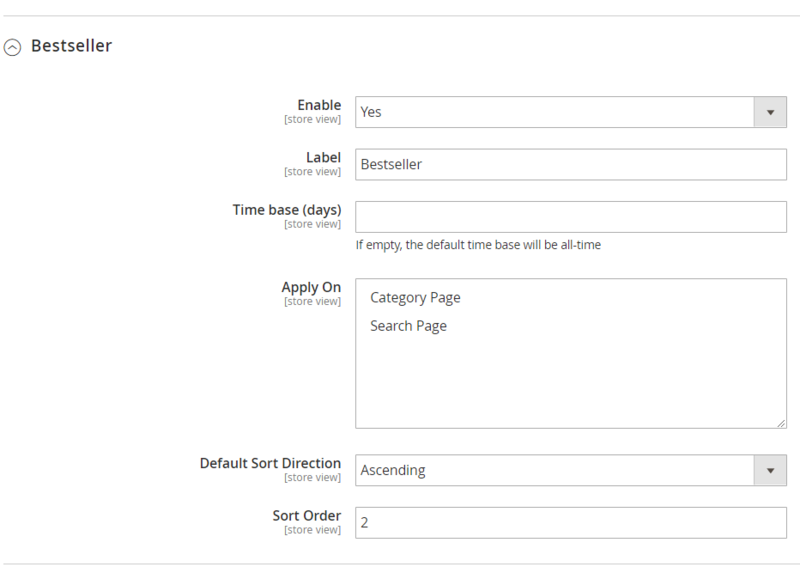 Sorting function is added on shopping sites will help shoppers quickly filter the products at the same criteria. For example, with one click, they can easily find out all discount products. As a result, they can focus on and make purchase shortly. Of course, this brings very good experience for customers to come back next times. Visitors quickly find out their wish items, so they will be willing to continue their further shopping or pick the items to their cart. It is clear that sorting function is really supportive to lower bounce rate and improve conversion rate significantly. 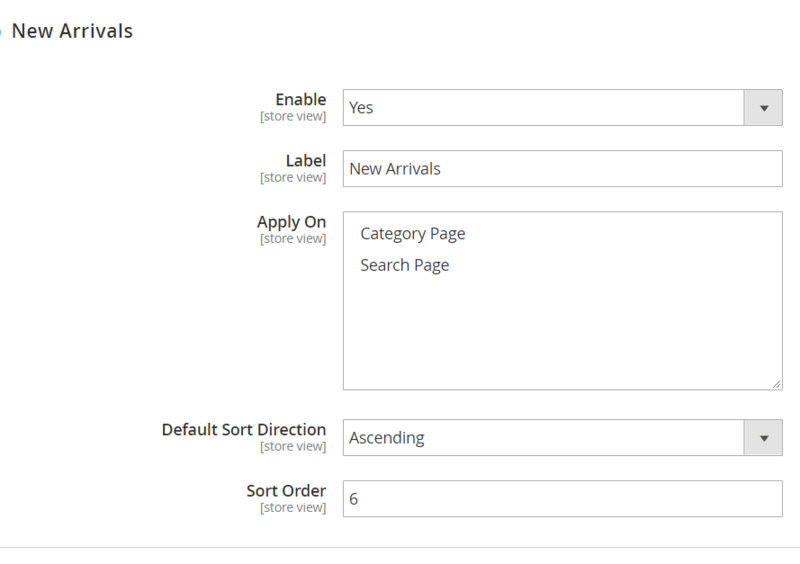 Adding sorting functions to Search Page and Category Page will make the store like become more interesting with the professional and functional appearance. Various types of sorting are supported Better Sorting allows sorting products easily, effectively and completely via 12 criteria. 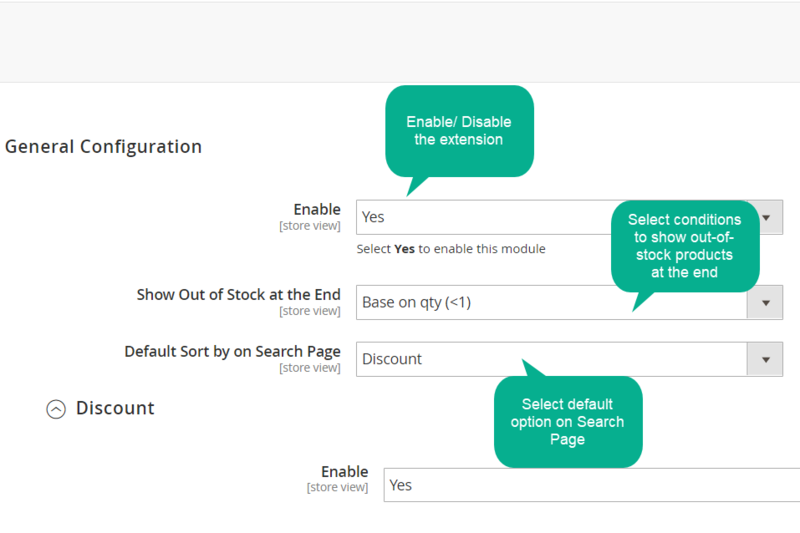 This helps customers easily filter products thoroughly and entirely. The products are sorted out based on: Discount, Best Seller, Most Viewed, Rating, Review Count, New Arrivals, Stock Quantity, Wish List, Product Name, Price, Position and Relevance. 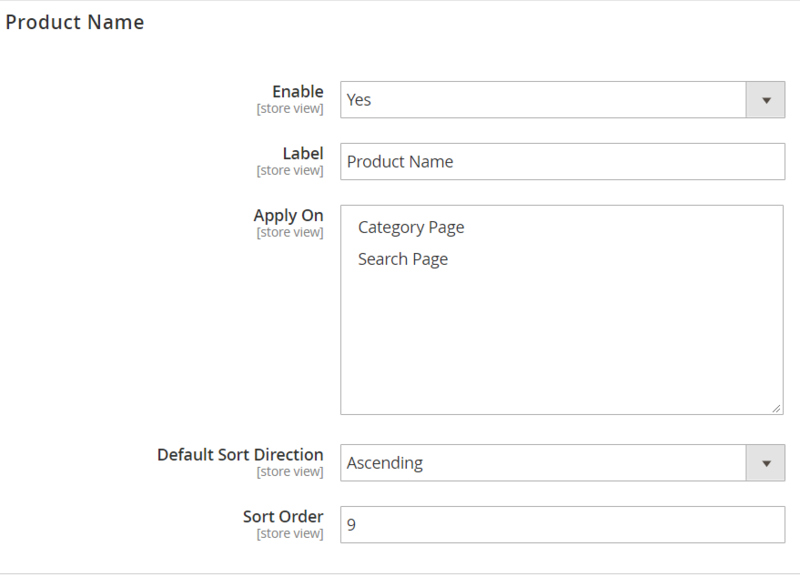 Sorting on Search Page and Category Page From Search Page and Category Page, customers can easily narrow the groups of products they are concerning and quickly find out the preferred items to pick to their cart. This is really time-saving feature and improve customer experience significantly. 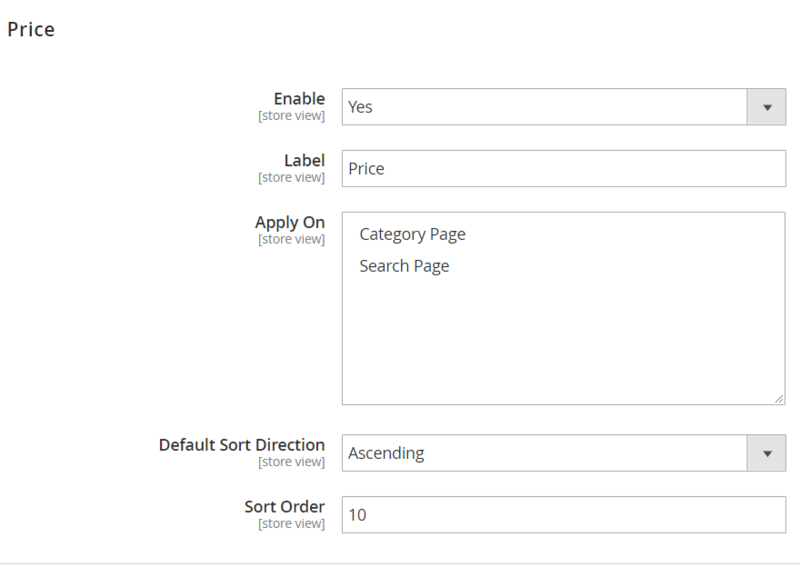 Better Sorting allows admins to customize the label for each criteria easily. 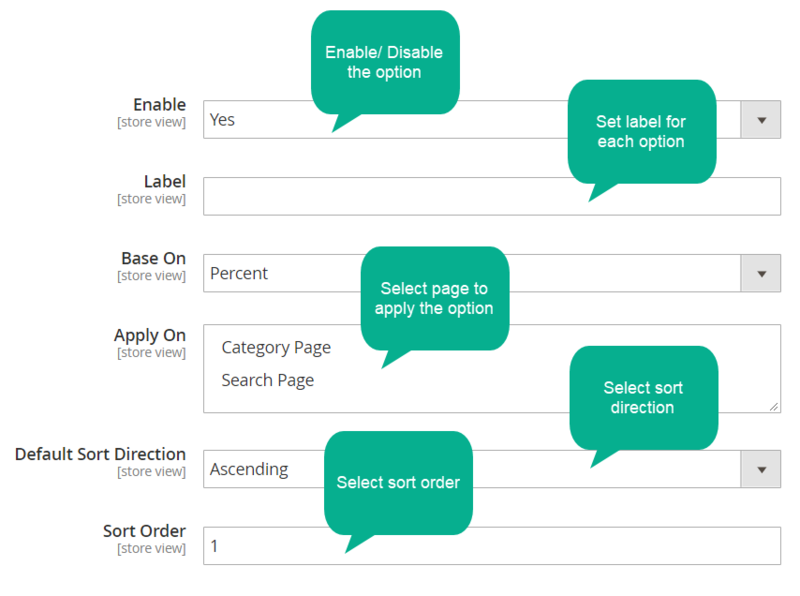 This will support store owners to create appealing labels for sorted product group. For example, Hot Deal, Crazy Sales, 24h off and so on. Because customers are easily attracted by these attractive and motivative types of words, they would like to find more with clicks. These labels also help Sort By section on Search Page and Category Page becomes more friendly and lively. 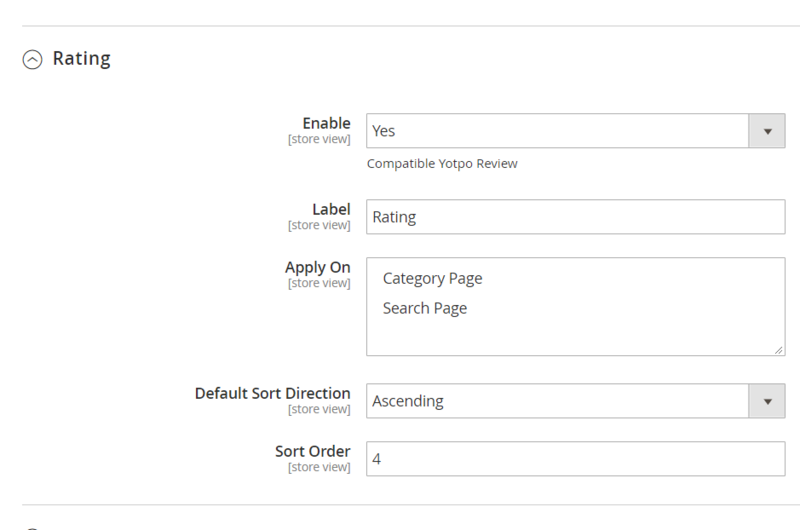 Setting position for each sorting label is another interesting feature of Better Sorting by Mageplaza. 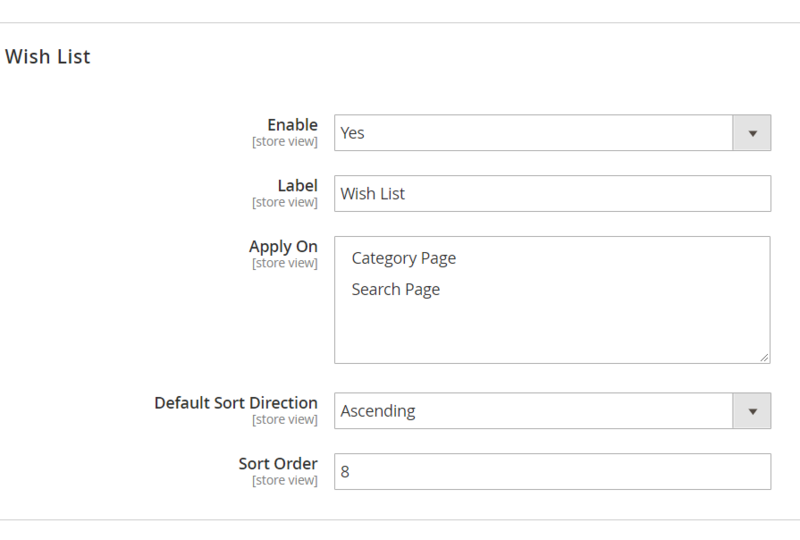 Sort direction can be easily configured from the admin backend. This feature is properly supportive in case the store owners would like to give priority to a group of products in specific marketing campaigns. 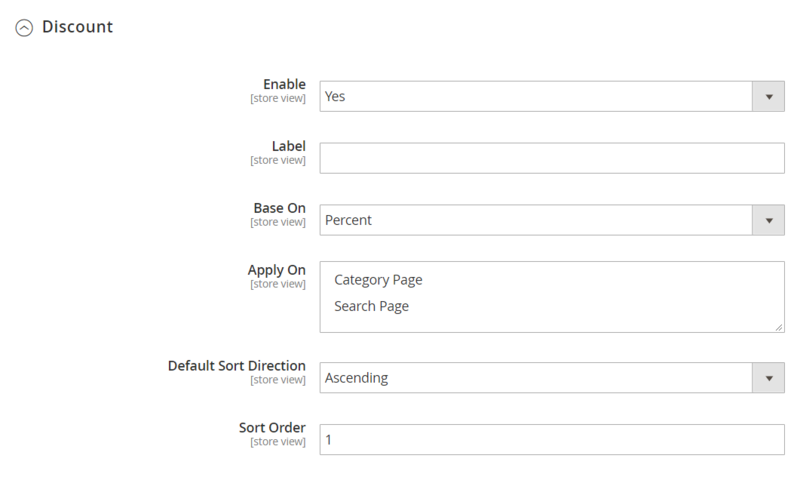 For example, to attract customers quickly notice sale-off products groups, it is easy to set it to display on the top of sorting section in the storefront. 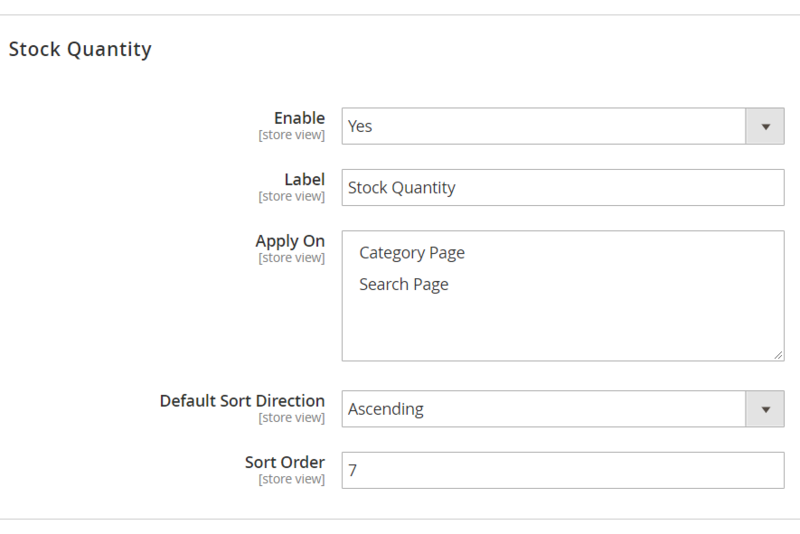 Display out-of-stock products at the end of sorting-product page. 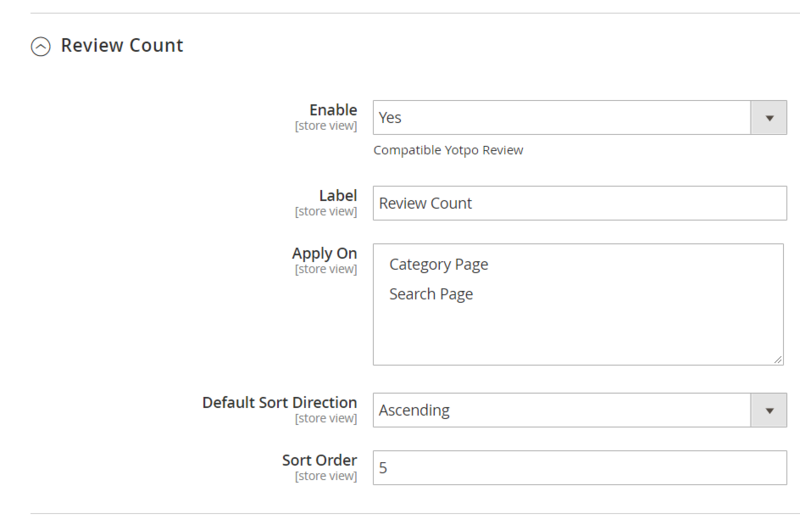 Display sorting results ascendingly or descendingly (amount, percent,etc). Sorting products by the quantity of product reviews. filter_drama What is the most noticeable feature of Better Sorting? 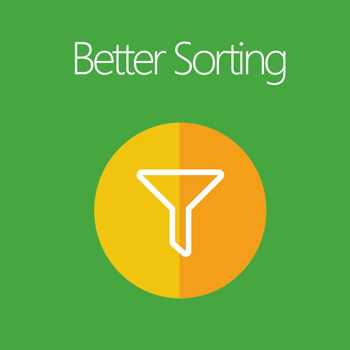 Better Sorting adds Sort By section on Search Pages and Category Page with 12 different categories, so customers can easily find out the group of products they are concerning. filter_drama What are the criteria available? The products are sorted out based on 12 options: Discount, Best Seller, Most Viewed, Rating, Review Count, New Arrivals, Stock Quantity, Wish List, Product Name, Price, Position and Relevance. filter_drama Can I change the label of available options? 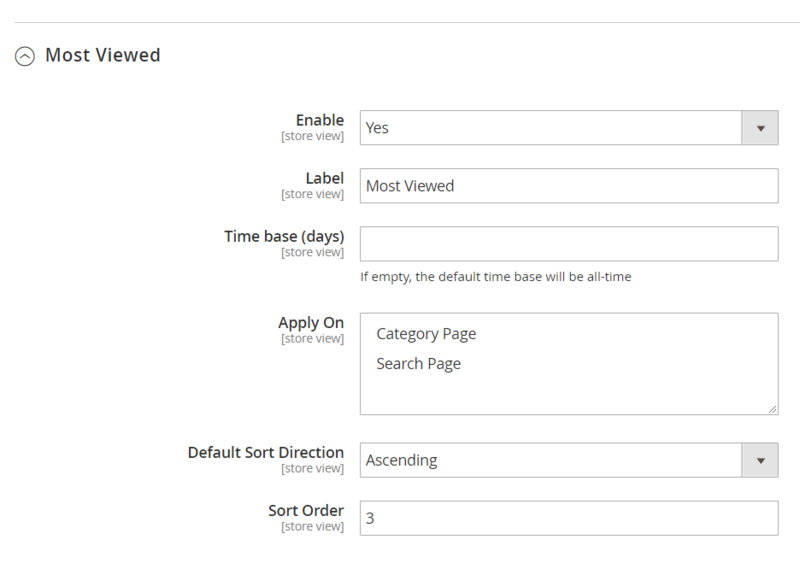 Yes, it can be done easily from Label section in the admin backend. filter_drama I would like options such as Discount, Best Seller to appear in the top of list to attract customers? How can I do? 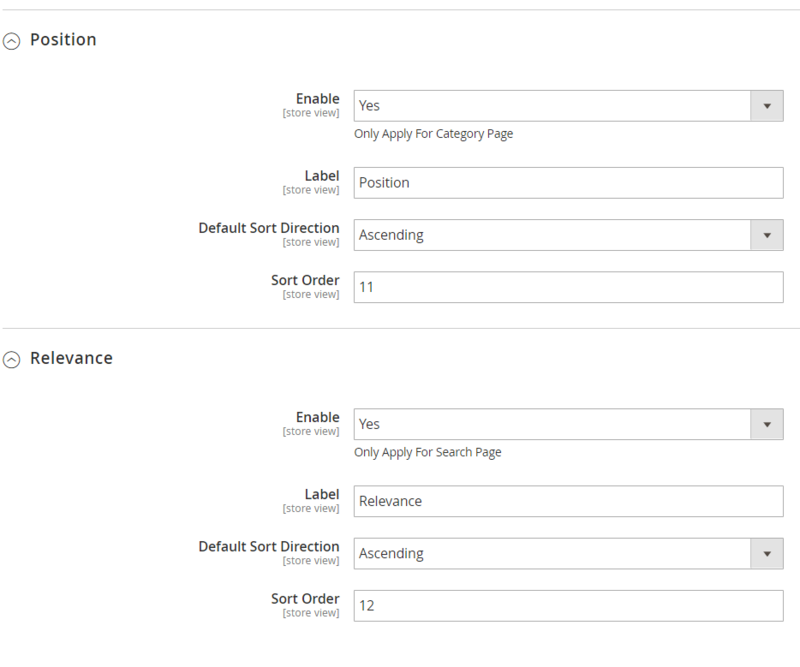 From the admin backend, at the section Sort Order, you input the number for the order of a sorting option. filter_drama Can I arrange sorted products with the decrease in price/ discount percent? Yes, you can totally do by select Sort Direction > Descendingly.